Paul Rice, senior partner with the Rice & Rose Law Firm, attended the annual Marital and Family Law Review Course on January 25 and 26, 2013, which was presented by the Family Law Section of the Florida Bar and the Florida Chapter of the American Academy of Matrimonial Lawyers. This seminar is put on annually as a preparation course for lawyers who are sitting for the examination to become board certified. It is also open to any lawyer who wants to stay abreast of the ever changing landscape in Florida family law. Paul Rice is board certified in divorce and family law. Less than six percent of all lawyers in Florida are board certified. Board certification requires extensive experience in a particular specialty as well as a large number of trials. If an attorney has the requisite experience, trials, continuing education hours and recommendations from judges and peer attorneys, only then may the attorney sit for day long examination to become board certified. The examination is only offered one time per year and the passage rate is less than 25%. 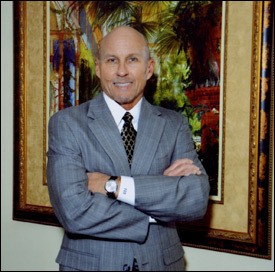 If you need a specialist for your divorce or family law matter, Paul Rice is available for consultations at his main office at 222 Seabreeze Boulevard in Daytona Beach, Florida. Mr. Rice can be reached at 386-257-1222 or at PaulRice@RiceRoseLaw.com.